Amaro Averna is named after Salvatore Averna, who invented the recipe back in 1868. It contains a careful blending of herbs, roots and citrus rind. With luscious texture, concentrated palate and subtle bitterness, this delightful Sicilian digestif is served neat or on the rocks. Furthermore, it is used as an ingredient of many popular cocktails. 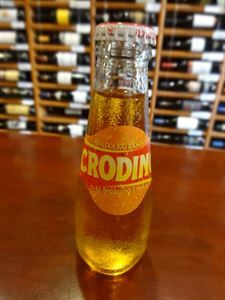 Italian non-alcoholic, sparkling bitter aperitif made with aromatic herbs. Traditional amaro distilled in Bologna, made using over 40 herbs and bottled at 23% vol, first produced by Stanislao Cobianchi in the late 19th century and named after Princess Elena de Montenegro.